The pandas package is the most important tool at the disposal of Data Scientists and Analysts working in Python today. 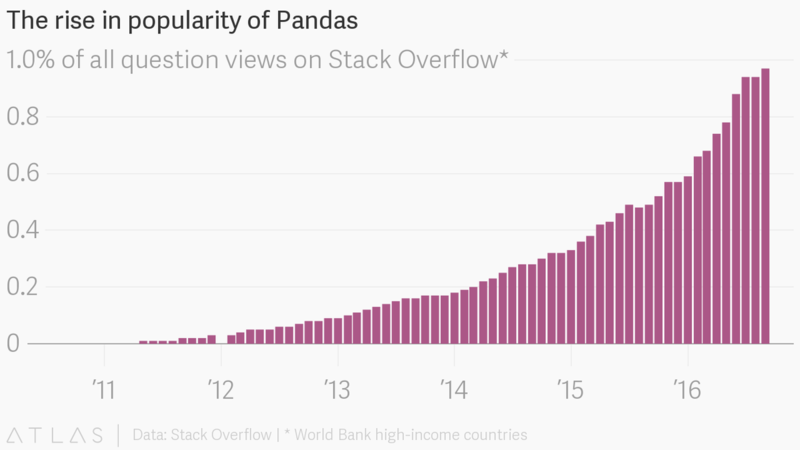 The powerful machine learning and glamorous visualization tools may get all the attention, but pandas is the backbone of most data projects. If you're thinking about data science as a career, then it is imperative that one of the first things you do is learn pandas. In this post, we will go over the essential bits of information about pandas, including how to install it, its uses, and how it works with other common Python data analysis packages such as matplotlib and scikit-learn. Pandas has so many uses that it might make sense to list the things it can't do instead of what it can do. This tool is essentially your data’s home. Through pandas, you get acquainted with your data by cleaning, transforming, and analyzing it. What's the average, median, max, or min of each column? Does column A correlate with column B? What does the distribution of data in column C look like? Visualize the data with help from Matplotlib. Plot bars, lines, histograms, bubbles, and more. Before you jump into the modeling or the complex visualizations you need to have a good understanding of the nature of your dataset and pandas is the best avenue through which to do that. How does pandas fit into the data science toolkit? Not only is the pandas library a central component of the data science toolkit but it is used in conjunction with other libraries in that collection. Pandas is built on top of the NumPy package, meaning a lot of the structure of NumPy is used or replicated in Pandas. Data in pandas is often used to feed statistical analysis in SciPy, plotting functions from Matplotlib, and machine learning algorithms in Scikit-learn. Jupyter Notebooks offer a good environment for using pandas to do data exploration and modeling, but pandas can also be used in text editors just as easily. Jupyter Notebooks give us the ability to execute code in a particular cell as opposed to running the entire file. This saves a lot of time when working with large datasets and complex transformations. Notebooks also provide an easy way to visualize pandas’ DataFrames and plots. As a matter of fact, this article was created entirely in a Jupyter Notebook. When should you start using pandas? If you do not have any experience coding in Python, then you should stay away from learning pandas until you do. You don’t have to be at the level of the software engineer, but you should be adept at the basics, such as lists, tuples, dictionaries, functions, and iterations. Also, I’d also recommend familiarizing yourself with NumPy due to the similarities mentioned above. If you're looking for a good place to learn Python, Python for Everybody on Coursera is great (and Free). Moreover, for those of you looking to do a data science bootcamp or some other accelerated data science education program, it's highly recommended you start learning pandas on your own before you start the program. Even though accelerated programs teach you pandas, better skills beforehand means you'll be able to maximize time for learning and mastering the more complicated material. The ! at the beginning runs cells as if they were in a terminal. Now to the basic components of pandas. The primary two components of pandas are the Series and DataFrame. A Series is essentially a column, and a DataFrame is a multi-dimensional table made up of a collection of Series. DataFrames and Series are quite similar in that many operations that you can do with one you can do with the other, such as filling in null values and calculating the mean. You'll see how these components work when we start working with data below. Creating DataFrames right in Python is good to know and quite useful when testing new methods and functions you find in the pandas docs. There are many ways to create a DataFrame from scratch, but a great option is to just use a simple dict. Each (key, value) item in data corresponds to a column in the resulting DataFrame. The Index of this DataFrame was given to us on creation as the numbers 0-3, but we could also create our own when we initialize the DataFrame. There's more on locating and extracting data from the DataFrame later, but now you should be able to create a DataFrame with any random data to learn on. Let's move on to some quick methods for creating DataFrames from various other sources. It’s quite simple to load data from various file formats into a DataFrame. In the following examples we'll keep using our apples and oranges data, but this time it's coming from various files. Here we're setting the index to be column zero. You'll find that most CSVs won't ever have an index column and so usually you don't have to worry about this step. Notice this time our index came with us correctly since using JSON allowed indexes to work through nesting. Feel free to open data_file.json in a notepad so you can see how it works. Pandas will try to figure out how to create a DataFrame by analyzing structure of your JSON, and sometimes it doesn't get it right. Often you'll need to set the orient keyword argument depending on the structure, so check out read_json docs about that argument to see which orientation you're using. 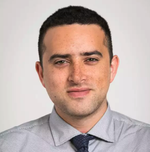 If you’re working with data from a SQL database you need to first establish a connection using an appropriate Python library, then pass a query to pandas. Here we'll use SQLite to demonstrate. sqlite3 is used to create a connection to a database which we can then use to generate a DataFrame through a SELECT query. If you have data in PostgreSQL, MySQL, or some other SQL server, you'll need to obtain the right Python library to make a connection. For example, psycopg2 (link) is a commonly used library for making connections to PostgreSQL. Furthermore, you would make a connection to a database URI instead of a file like we did here with SQLite. In this SQLite database we have a table called purchases, and our index is in a column called "index". In fact, we could use set_index() on any DataFrame using any column at any time. Indexing Series and DataFrames is a very common task, and the different ways of doing it is worth remembering. When we save JSON and CSV files, all we have to input into those functions is our desired filename with the appropriate file extension. With SQL, we’re not creating a new file but instead inserting a new table into the database using our con variable from before. Let's move on to importing some real-world data and detailing a few of the operations you'll be using a lot. DataFrames possess hundreds of methods and other operations that are crucial to any analysis. As a beginner, you should know the operations that perform simple transformations of your data and those that provide fundamental statistical analysis. We're loading this dataset from a CSV and designating the movie titles to be our index. .head() outputs the first five rows of your DataFrame by default, but we could also pass a number as well: movies_df.head(10) would output the top ten rows, for example. Typically when we load in a dataset, we like to view the first five or so rows to see what's under the hood. Here we can see the names of each column, the index, and examples of values in each row. You'll notice that the index in our DataFrame is the Title column, which you can tell by how the word Title is slightly lower than the rest of the columns. .info() provides the essential details about your dataset, such as the number of rows and columns, the number of non-null values, what type of data is in each column, and how much memory your DataFrame is using. 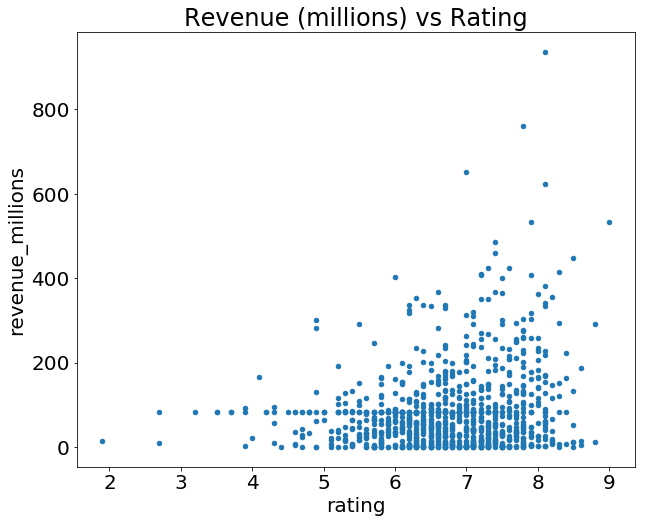 Notice in our movies dataset we have some obvious missing values in the Revenue and Metascore columns. We'll look at how to handle those in a bit. Seeing the datatype quickly is actually quite useful. Imagine you just imported some JSON and the integers were recorded as strings. You go to do some arithmetic and find an "unsupported operand" Exception because you can't do math with strings. Calling .info() will quickly point out that your column you thought was all integers are actually string objects. Note that .shape has no parentheses and is a simple tuple of format (rows, columns). So we have 1000 rows and 11 columns in our movies DataFrame. You'll be going to .shape a lot when cleaning and transforming data. For example, you might filter some rows based on some criteria and then want to know quickly how many rows were removed. This dataset does not have duplicate rows, but it is always important to verify you aren't aggregating duplicate rows. Using append() will return a copy without affecting the original DataFrame. We are capturing this copy in temp so we aren't working with the real data. Notice call .shape quickly proves our DataFrame rows have doubled. Just like append(), the drop_duplicates() method will also return a copy of your DataFrame, but this time with duplicates removed. Calling .shape confirms we're back to the 1000 rows of our original dataset. Now our temp_df will have the transformed data automatically. first: (default) Drop duplicates except for the first occurrence. last: Drop duplicates except for the last occurrence. Since we didn't define the keep arugment in the previous example it was defaulted to first. This means that if two rows are the same pandas will drop the second row and keep the first row. Using last has the opposite effect: the first row is dropped. Since all rows were duplicates, keep=False dropped them all resulting in zero rows being left over. If you're wondering why you would want to do this, one reason is that it allows you to locate all duplicates in your dataset. When conditional selections are shown below you'll see how to do that. Many times datasets will have verbose column names with symbols, upper and lowercase words, spaces, and typos. To make selecting data by column name easier we can spend a little time cleaning up their names. Not only does .columns come in handy if you want to rename columns by allowing for simple copy and paste, it's also useful if you need to understand why you are receiving a Key Error when selecting data by column. list (and dict) comprehensions come in handy a lot when working with pandas and data in general. It's a good idea to lowercase, remove special characters, and replace spaces with underscores if you'll be working with a dataset for some time. When exploring data, you’ll most likely encounter missing or null values, which are essentially placeholders for non-existent values. Most commonly you'll see Python's None or NumPy's np.nan, each of which are handled differently in some situations. Notice isnull() returns a DataFrame where each cell is either True or False depending on that cell's null status. .isnull() just by iteself isn't very useful, and is usually used in conjunction with other methods, like sum(). We can see now that our data has 128 missing values for revenue_millions and 64 missing values for metascore. Data Scientists and Analysts regularly face the dilemma of dropping or imputing null values, and is a decision that requires intimate knowledge of your data and its context. Overall, removing null data is only suggested if you have a small amount of missing data. This operation will delete any row with at least a single null value, but it will return a new DataFrame without altering the original one. You could specify inplace=True in this method as well. So in the case of our dataset, this operation would remove 128 rows where revenue_millions is null and 64 rows where metascore is null. This obviously seems like a waste since there's perfectly good data in the other columns of those dropped rows. That's why we'll look at imputation next. As we learned above, this is a tuple that represents the shape of the DataFrame, i.e. 1000 rows and 11 columns. Note that the rows are at index zero of this tuple and columns are at index one of this tuple. This is why axis=1 affects columns. This comes from NumPy, and is a great example of why learning NumPy is worth your time. Imputation is a conventional feature engineering technique used to keep valuable data that have null values. There may be instances where dropping every row with a null value removes too big a chunk from your dataset, so instead we can impute that null with another value, usually the mean or the median of that column. Using square brackets is the general way we select columns in a DataFrame. If you remember back to when we created DataFrames from scratch, the keys of the dict ended up as column names. Now when we select columns of a DataFrame, we use brackets just like if we were accessing a Python dictionary. Slightly different formatting than a DataFrame, but we still have our Title index. Imputing an entire column with the same value like this is a basic example. It would be a better idea to try a more granular imputation by Genre or Director. For example, you would find the mean of the revenue generated in each genre individually and impute the nulls in each genre with that genre's mean. Let's now look at more ways to examine and understand the dataset. Understanding which numbers are continuous also comes in handy when thinking about the type of plot to use to represent your data visually. This tells us that the genre column has 207 unique values, the top value is Action/Adventure/Sci-Fi, which shows up 50 times (freq). Correlation tables are a numerical representation of the bivariate relationships in the dataset. Positive numbers indicate a positive correlation — one goes up the other goes up — and negative numbers represent an inverse correlation — one goes up the other goes down. 1.0 indicates a perfect correlation. So looking in the first row, first column we see rank has a perfect correlation with itself, which is obvious. On the other hand, the correlation between votes and revenue_millions is 0.6. A little more interesting. Examining bivariate relationships comes in handy when you have an outcome or dependent variable in mind and would like to see the features most correlated to the increase or decrease of the outcome. 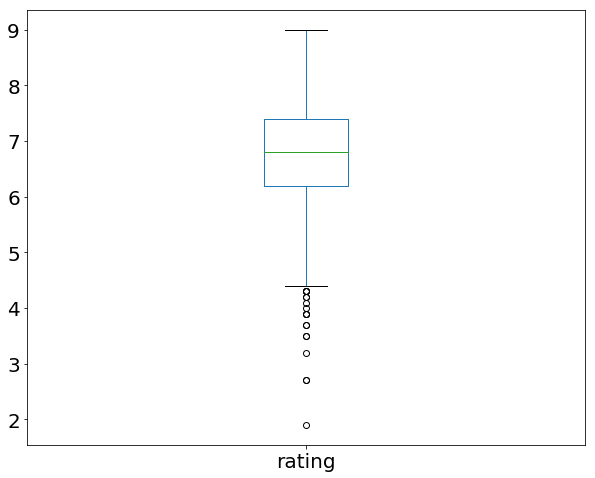 You can visually represent bivariate relationships with scatterplots (seen below in the plotting section). For a deeper look into data summarizations check out Essential Statistics for Data Science. Let's now look more at manipulating DataFrames. Up until now we've focused on some basic summaries of our data. We've learned about simple column extraction using single brackets, and we imputed null values in a column using fillna(). Below are the other methods of slicing, selecting, and extracting you'll need to use constantly. It's important to note that, although many methods are the same, DataFrames and Series have different attributes, so you'll need be sure to know which type you are working with or else you will receive attribute errors. Let's look at working with columns first. Now we'll look at getting data by rows. loc and iloc can be thought of as similar to Python list slicing. To show this even further, let's select multiple rows. One important distinction between using .loc and .iloc to select multiple rows is that .locincludes the movie Sing in the result, but when using .iloc we're getting rows 1:4 but the movie at index 4 (Suicide Squad) is not included. Slicing with .iloc follows the same rules as slicing with lists, the object at the index at the end is not included. We’ve gone over how to select columns and rows, but what if we want to make a conditional selection? 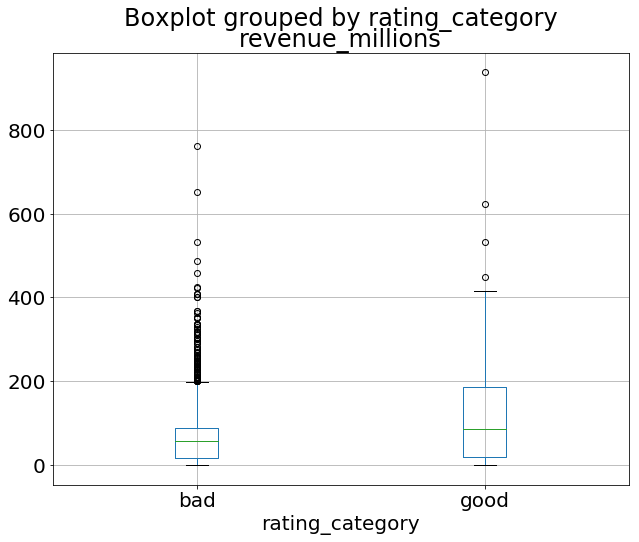 For example, what if we want to filter our movies DataFrame to show only films directed by Ridley Scott or films with a rating greater than or equal to 8.0? Similar to isnull(), this returns a Series of True and False values: True for films directed by Ridley Scott and False for ones not directed by him. Select movies_df where movies_df director equals Ridley Scott. We can make some richer conditionals by using logical operators | for "or" and & for "and". We need to make sure to group evaluations with parentheses so Python knows how to evaluate the conditional. Let's say we want all movies that were released between 2005 and 2010, have a rating above 8.0, but made below the 25th percentile in revenue. If you recall up when we used .describe() the 25th percentile for revenue was about 17.4, and we can access this value directly by using the quantile() method with a float of 0.25. So here we have only four movies that match that criteria. It is possible to iterate over a DataFrame or Series as you would with a list, but doing so — especially on large datasets — is very slow. An efficient alternative is to apply() a function to the dataset. For example, we could use a function to convert movies with an 8.0 or greater to a string value of "good" and the rest to "bad" and use this transformed values to create a new column. The .apply() method passes every value in the rating column through the rating_function and then returns a new Series. 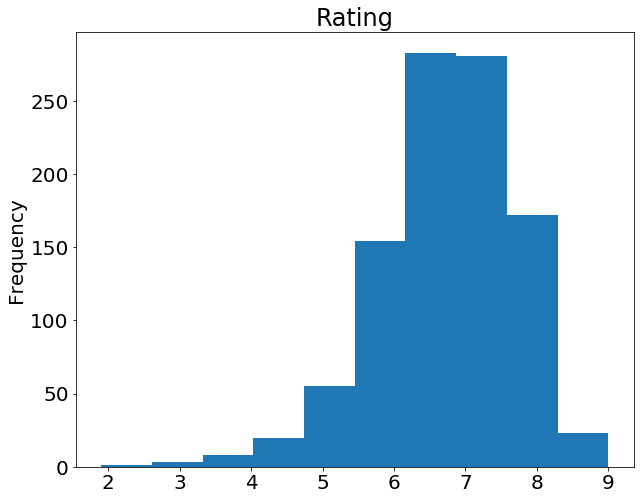 This Series is then assigned to a new column called rating_category. Overall, using apply() will be much faster than iterating manually over rows because pandas is utilizing vectorization. A good example of high usage of apply() is during natural language processing (NLP) work. You'll need to apply all sorts of text cleaning functions to strings to prepare for machine learning. Now we can begin. There won't be a lot of coverage on plotting, but it should be enough to explore you're data easily. For categorical variables utilize Bar Charts* and Boxplots. For continuous variables utilize Histograms, Scatterplots, Line graphs, and Boxplots. What's with the semicolon? It's not a syntax error, just a way to hide the <matplotlib.axes._subplots.AxesSubplot at 0x26613b5cc18> output when plotting in Jupyter notebooks. That's the general idea of plotting with pandas. There's too many plots to mention, so definitely take a look at the plot() docs here for more information on what it can do. Exploring, cleaning, transforming, and visualization data with pandas in Python is an essential skill in data science. Just cleaning wrangling data is 80% of your job as a Data Scientist. After a few projects and some practice, you should be very comfortable with most of the basics. To keep improving, view the extensive tutorials offered by the official pandas docs, follow along with a few Kaggle kernels, and keep working on your own projects! Covers an intro to Python, Visualization, Machine Learning, Text Mining, and Social Network Analysis in Python. Also provides many challenging quizzes and assignments to further enhance your learning. 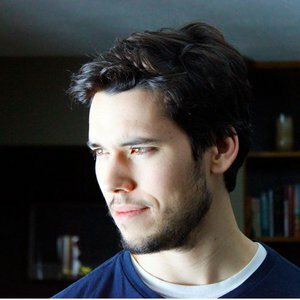 An excellent course for learning SQL. The instructor explains everything from beginner to advanced SQL queries and techniques, and provides many exercises to help you learn. 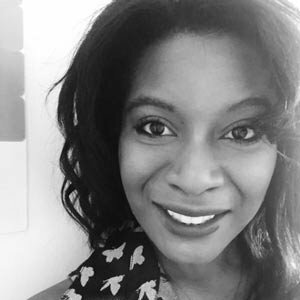 Lead data scientist and machine learning developer at smartQED, and mentor at the Thinkful Data Science program.